Drying Your Own Herbs – You’ll Never Use Store Bought Dried Herbs Again! I assume you have the same scarcity of free time that I do, but every now and then I get a bee in my bonnet and have a burst of creativity. Freezing or drying herbs is one of those bursts. At summer’s end, I cannot bear to waste the herbs still growing in the garden, about to die in the first frost. I pick them all and become an earth mother. It’s very easy and doesn’t take much time. They are tastier than store bought, I can make my own combinations, and we enjoy them all winter. They also make great holiday or hostess gifts! Step one – buy the containers you want to use. I prefer small glass jars because I like the way they look and they make nice containers if I give any as gifts. Glass also stores well. I recommend both 4 oz. and 6 oz. sizes to give you flexibility. $19.99 for a dozen jars. 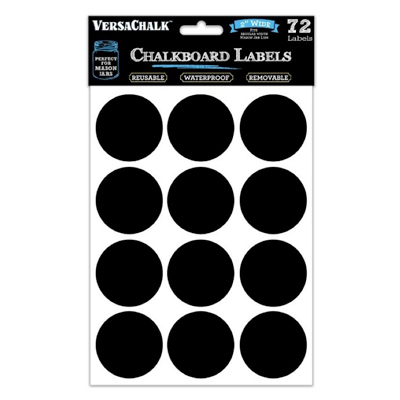 Make sure you have labels, $12.99 for 72. Pick your herbs mid-morning on a dry day after the morning dew has been dried by the sun to get the most flavor. If your herbs were organically grown, you do not need to wash them. Gather your herbs by their stems and tie them together in bundles. Tie the stalks together about halfway up, not too tightly – don’t squish them. Hang the herb bundles upside down in a bright window (they can be tied to a curtain rod, or run a string across the top), or any dry, well-lit place. Pot racks are another idea. Don’t allow herbs to be in direct sunlight as they will bleach. If you have many single leaves, put them a drying screen so they get lots of air circulation. People have also found that leaving herbs in a cold, dry refrigerator, out of any packaging, dries them beautifully, it just takes longer. Parsley and chives dry best this way because they retain their color and flavor. Let herbs dry for a week or so until the leaves crumble. 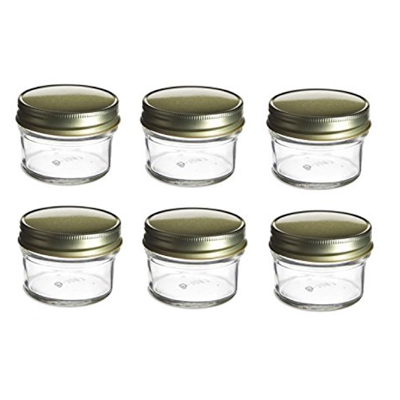 They need to be completely dry – any moisture left in the leaves could create mold in your jars. Once herbs are dried, they will not get bacteria, mold or yeast. Their shelf life is at least 6 – 12 months. Note: When using your dried herbs in place of fresh herbs in a recipe, remember that the oil in dried herbs makes them more concentrated, so use about ½ the amount of dried herbs in a recipe calling for fresh herbs. Step three –storing and using your dried herbs. Once your herbs are dried, they are ready to go. Crumble the dried herbs with your fingers, discarding any stems or middle ribs. Alternatively, you can keep the leaves whole and crumble only when you need them, which some experts feel maintains optimum flavor. Keep the herbs separately in labeled individual jars. Store in small airtight containers. Label and date them immediately. If using clear glass containers make sure they are stored out of the light so they don’t lose their color. There are many uses for your dried herbs. Create herb mixtures like herbes de Provence, bouquet garni and fines herbs that are wonderful to have ready to go in your kitchen. Create herb infused vinegars and oils. Create herb salts and sugars. These will extend the shelf life of your mixtures. See recipes below. Place ½ cup sea salt and the herbs into a food processor and pulse until finely chopped. Add the remaining cup of sea salt and pulse to combine. Put mixture into an airtight container and cover. Store at room temperature. Herb salt can be made 6 months in advance. Herb salts are often used as finishing salts, meaning that they season food that is already cooked, at the table. It can also be used in place of salt in any recipe. Pulse ingredients together in a food processor until herbs are finely ground and well blended with the sugar. Put through a coarse mesh sieve then put mixture into an airtight container and cover. May be made up to 6 months ahead of time. Herb sugars are great to sprinkle over fruit salad, stirred into iced tea or lemonade or to rim cocktail glasses. Grow Herbs, Vegetables and Flowering Plants Inside. Oven Mitts, Pinch Mitts and Hot Pads – New Materials.